Jenkins left his residence on foot Monday July 20th around midnight and the family reported him missing Thursday afternoon July 23rd. After working closely with the community and media, the Sheriff’s Office located Jenkins in the City of Richmond. HANOVER, VA – The Sheriff’s Office is asking for the public’s help with locating a missing Beaverdam man. 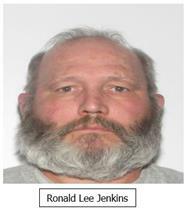 Ronald Jenkins, 55, of the 17000 block of Parsons Rd. in Beaverdam, was last seen voluntarily leaving his residence on foot the evening of Monday July 20th around midnight. On Thursday July 23rd at approximately 1:00PM, Mr. Jenkins family reported him missing. He is described as white male, 5’9”, 180 pounds, with brown eyes, and gray hair. Mr. Jenkins left on foot carrying a roll away type back pack as well as a brown pack with personal items. Anyone with information as to if they provided him a ride, saw him walking, or know of his whereabouts, is asked to contact the Hanover County Sheriff’s Office at (804) 365-6140 or the Metro Richmond Crime Stoppers at (804) 780-1000. Citizens can also text Crime Stoppers at 274637 (CRIMES), using the keyword “iTip” followed by their tip. Both Crime Stoppers methods are anonymous.